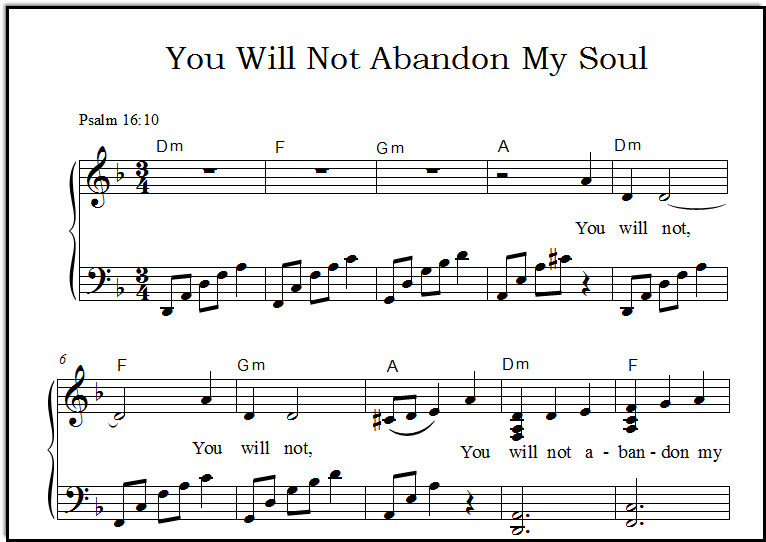 "You Will Not Abandon My Soul to Sheol" is a song about God's promise in Psalm 16:10 not only to his Son, the Messiah, but to us who believe in Him. 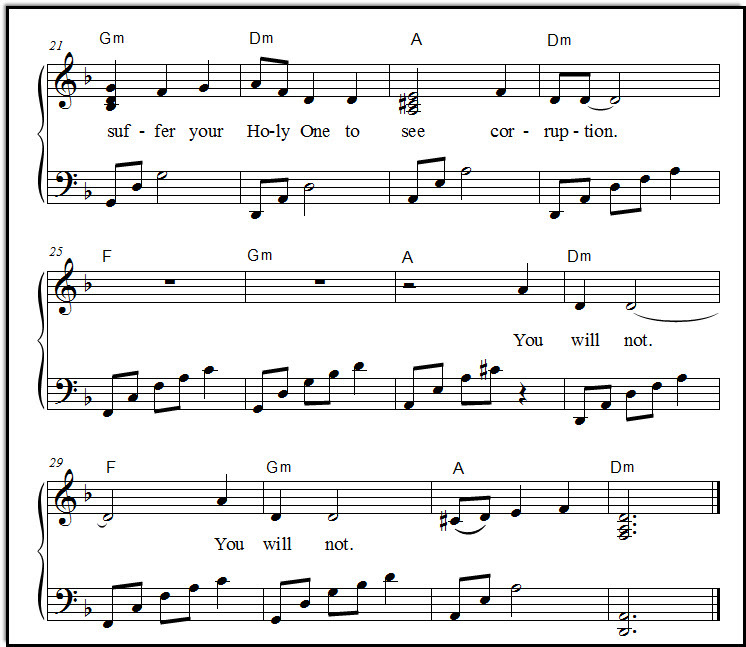 There are two versions of this song; see the explanation below. 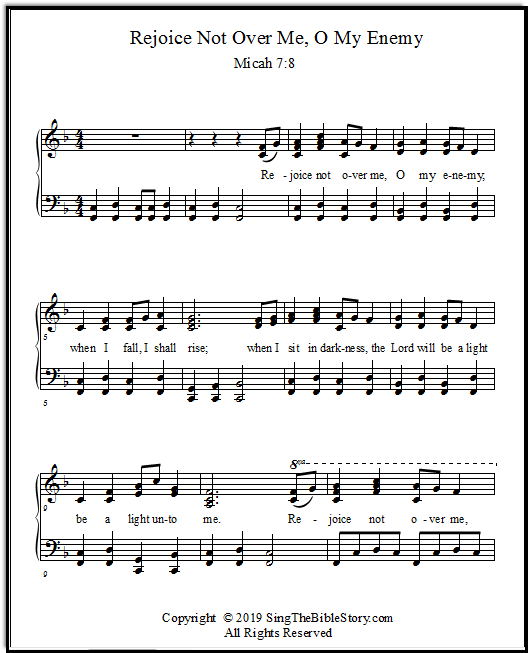 This is a song of hope and comfort. 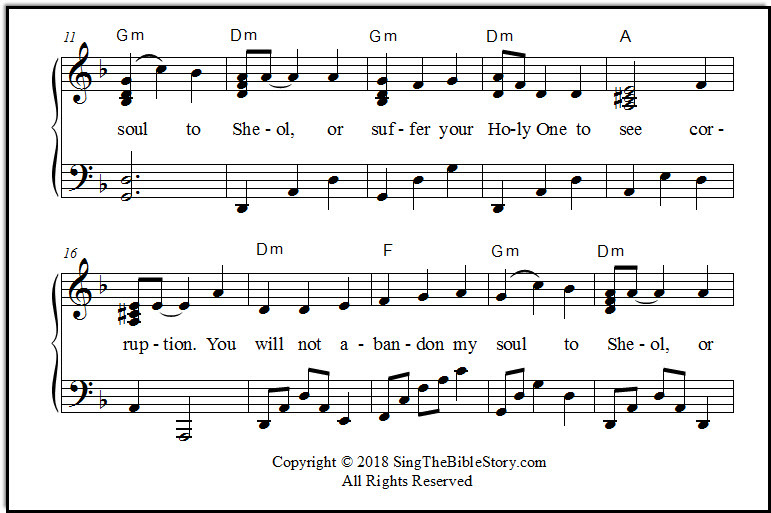 Not only do the words apply to the psalmist, David, and to us who have believed in God's Son for salvation, but they apply directly to the Messiah, God's Son, Himself. 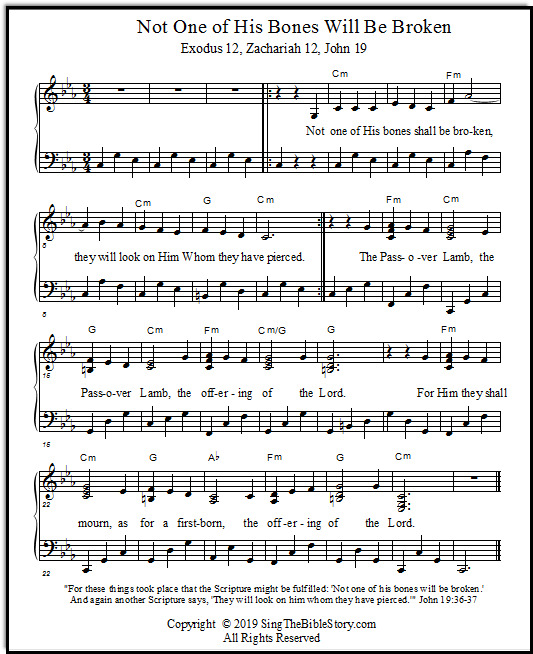 When Jesus Christ died on the cross, this is one of the prophecies He would have known of that spoke of his coming resurrection in three days. 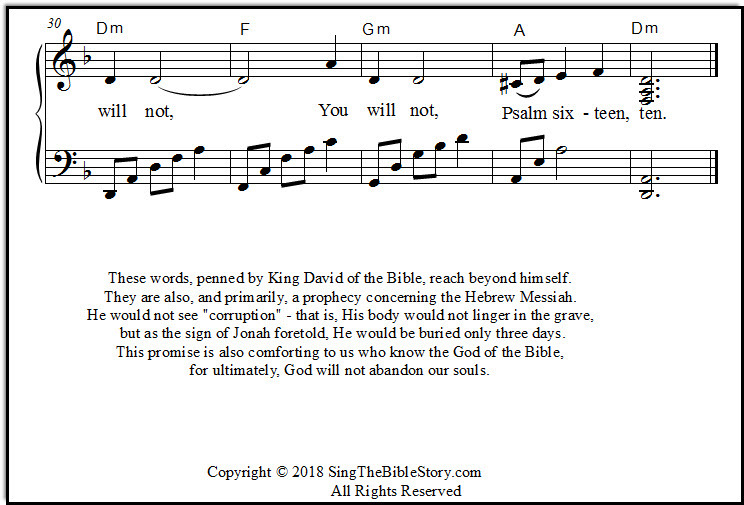 That's why he told the religious leaders, "There shall be no sign given you but the sign of Jonah!" 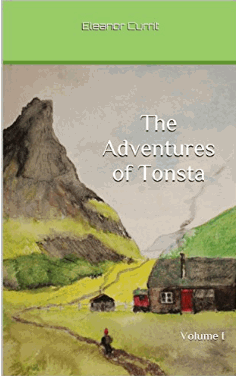 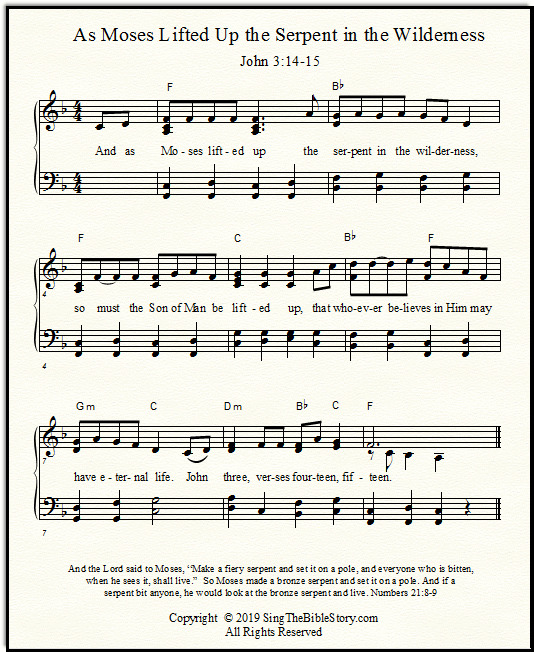 Jonah was submerged, in the belly of the great fish or whale, for three days. 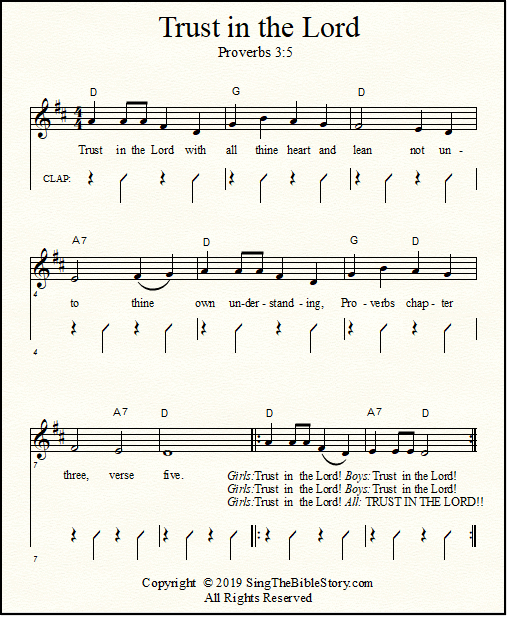 Though this song would be wonderful at a memorial service or a funeral, it also is a sensible Sunday School song. 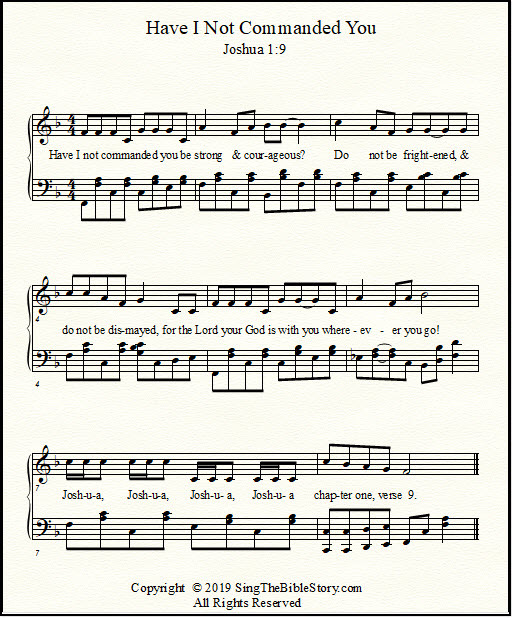 Our children need to know these comforting promises from God's Word, and there is no better way to memorize them than to sing them. 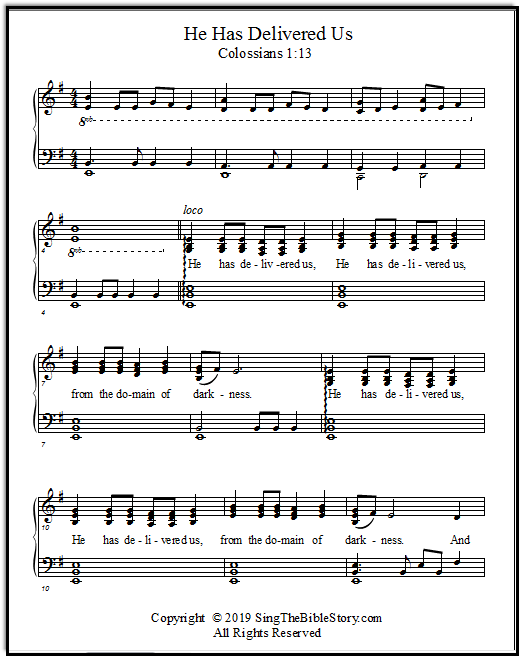 In order to reinforce the first few notes of the melody, I decided to use the interval A to D (a fifth) several times, to help catch on to the shape of the tune! 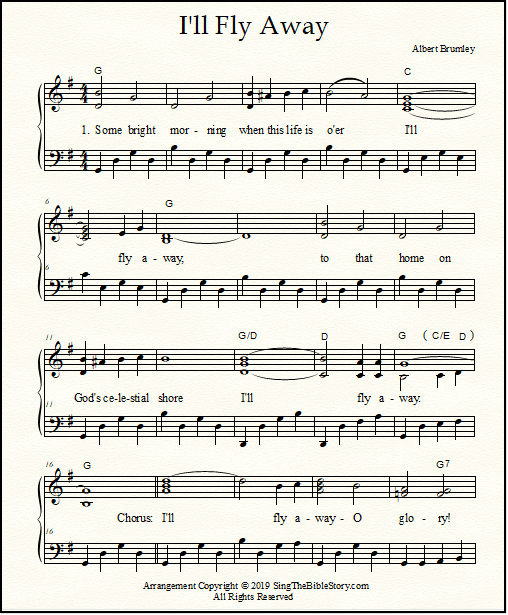 It works well, I think; reinforcing not just the melody, but the meaning of the words. 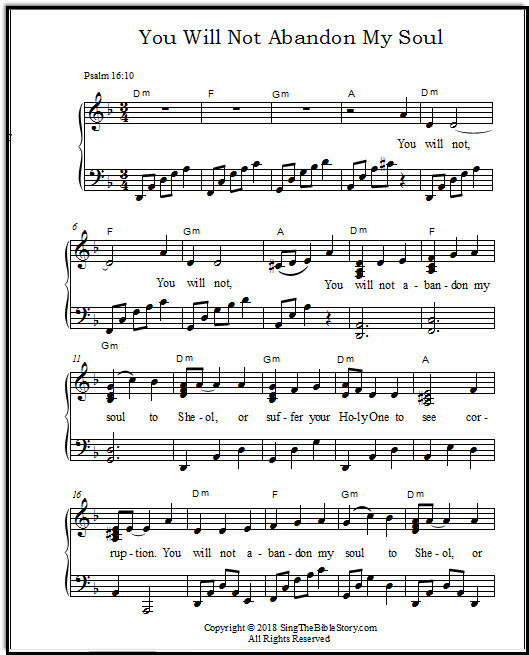 For Sunday School children, or for memorizing on your own, version one of this song has extra measures which include the psalm reference: "Psalm 16:10." 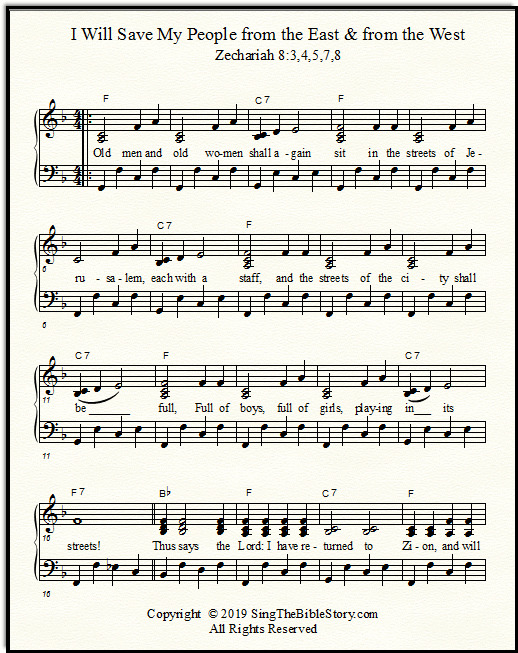 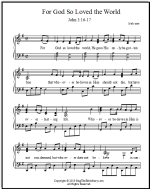 Please feel free to use these printable music sheets for your worship group or class. 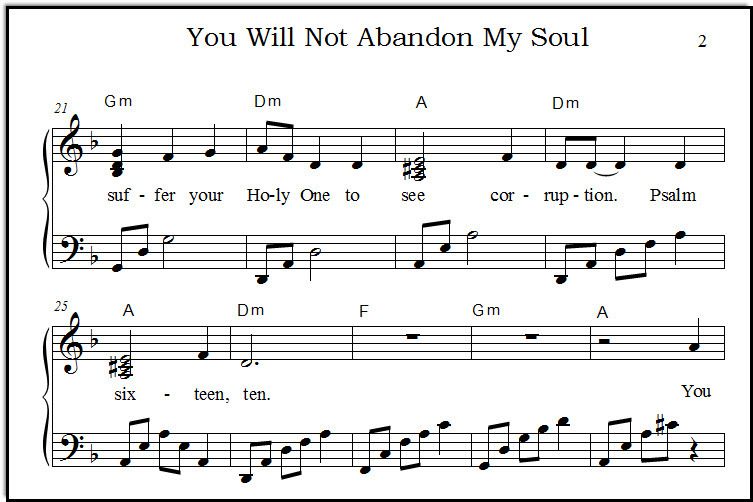 Download "You Will Not Abandon My Soul" with the Bible verse at the end. 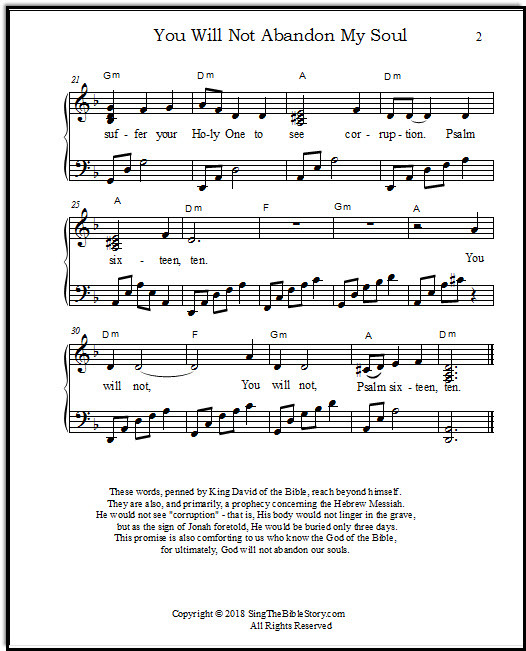 Download Psalm 16:10 song without the verse reference at the end of the song.